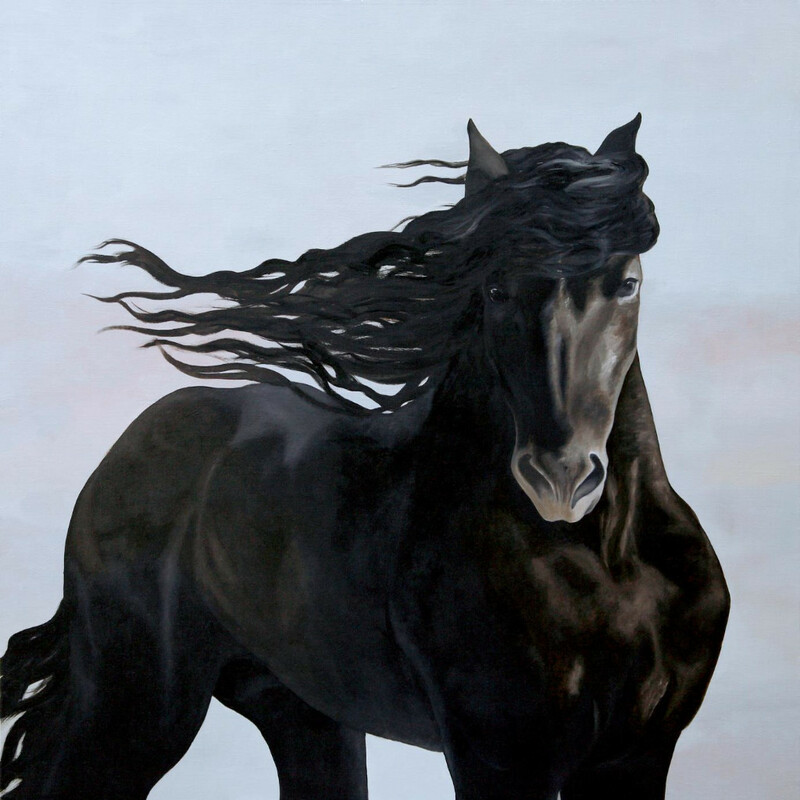 Friesian Horse This Friesian Horse is an oil painting, painted on canvas 100X100cm. Also available in the webshops. 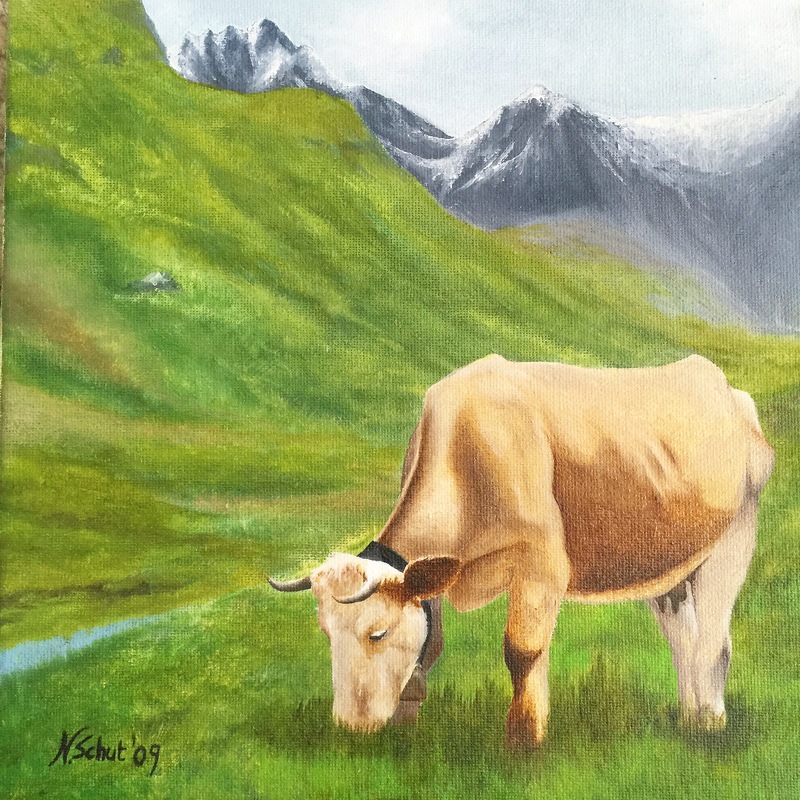 Cow in the Alps This cow is grazing on a little canvas 20X20cm. 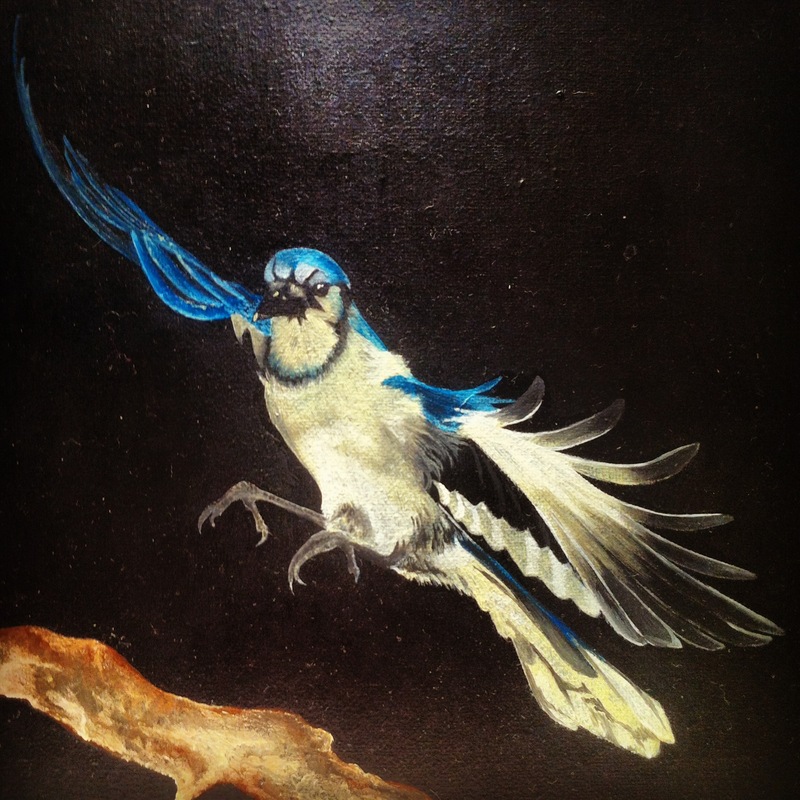 Blue bird This bird is an oil painting 20X20cm.